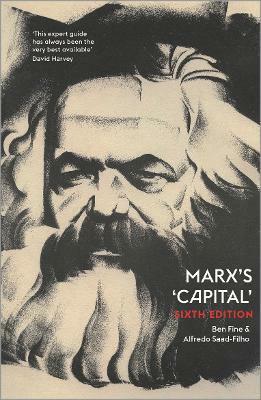 This brilliantly concise book is the classic companion to Karl Marx's most well-known work, Capital. In print now for over a quarter of a century, and translated into many languages, this new edition has been fully revised and updated, making it an ideal modern introduction to one of the most important texts in political and economic thought today. The authors cover all central aspects of Marx's economics. They explain the structure of Marx's analysis and the meaning of the key categories in Capital, showing the internal coherence of Marx's approach, and their relevance today. Marx's method and terminology are explored in detail, with supporting examples. Short chapters set out the significance of Marx's main concepts and can be grasped easily, making it a practical text for anyone with an interest in understanding Marx's magnum opus. Discussing Capital's relevance today, the authors keep abstract theorising to a minimum. This readable introduction highlights the continuing relevance of Marx's ideas in the light of the problems of contemporary capitalism. Ben Fine is Professor of Economics at SOAS, University of London. He is the author of the critical texts, Macroeconomics and Microeconomics (Pluto, 2016), co-author of Marx's 'Capital' (Pluto, 2016) and co-editor of Beyond the Developmental State (Pluto, 2013). He was awarded both the Deutscher and Myrdal Prizes in 2009. Alfredo Saad-Filho is Professor of Political Economy at SOAS, University of London. He is the author of Brazil: Neoliberalism versus Democracy (Pluto, 2017), and co-author of Marx's 'Capital' (Pluto, 2016), Neoliberalism: A Critical Reader (Pluto, 2005) and the Elgar Companion to Marxist Economics (Elgar, 2012).